Rice University's chapter of Camp Kesem, an organization dedicated to helping children through and beyond their parent's cancer, will host its first "Make the Magic" event Friday, April 10, from 6:15 to 9 p.m. at Rice's Cohen House, 6100 Man Street. 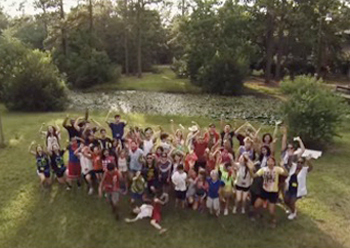 Founded in 2013, Camp Kesem Rice is one of 54 student chapters in the national organization, the country's only nonprofit dedicated to organizing free summer camps to provide emotional support, camaraderie and fun experiences for the often-overlooked population of children affected by a parent's cancer. Camp Kesem provides a lifelong, peer-support network for these children, anchored in a network of free summer camps that are led by passionate college student volunteers across the country. Funds raised during this night of dinner, philanthropy and entertainment will help provide yearlong peer support and send 60 campers to camp Aug. 1-7. The event will include dinner, speeches from a Camp Kesem counselor and family, a paddle-raise fundraiser and fun activities such as ring toss. Miranda also has a strong record of international engagement. She has worked in Nepal, Indonesia, Malaysia, Costa Rica, Honduras and Sweden. At Michigan, she is working to build partnerships in China, India, Brazil, Mexico and both East and West Africa. She maintains an active research program in East Africa and is involved in a multi-university initiative focused on strategies to combat malaria in sub-Saharan Africa. Miranda grew up in Detroit. The child of immigrants, Miranda has particular insights into the changing demographics that are shaping U.S. higher education.